Tell me the lowest possible interest rate for which I can qualify. Is the annual percentage rate fixed? What is my exact monthly payment? Will I be penalized for pre-payment? Do you offer car loans after divorce or other life-altering circumstances? Outline the specific loan fees attached to my contract. Can any of them be eliminated, or at least reduced? You may think of additional questions that have bearing on your situation. Feel free to ask about any concerns you may have. This will help you ensure that there are no surprises either at the dealer or later. 5 Star Auto Plaza is proud to continue a tradition of excellent sales and service. We are ready to assist you in the car-buying and loan process. 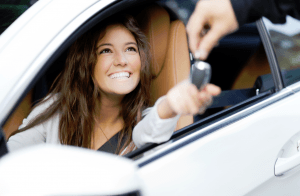 Call us today at (636)940-7600 to inquire about the availability of good credit auto loans in St. Louis.